Earthy, industrial-looking mango wood. 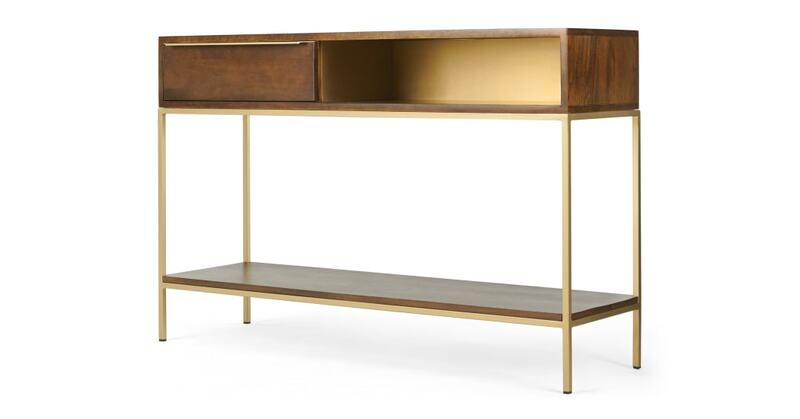 This console table was always going to be a looker. The metallic trend's nailed too, thanks to the solid brass cladding – Anderson's a knock-out furniture piece designed to add a luxe feel to your place. Ideal for your hallway, let this console table welcome you when you walk through the door. Or use yours as a dressing table. Matched with metallic accessories, it'll give your space an industrial look with a elevated finish.